Becky Lynch first laced up the boots in her native Ireland after a tough upbringing on the mean streets of Dublin. From the start she displayed a toughness and grit that women wrestlers are often not credited with possessing. Fast forward to 2019, and she is set to take on former UFC Women's Bantamweight Champion and current Raw Women's Champion Rowdy Ronda Rousey and Charlotte Flair at WrestleMania 35. Rumor even has it that the match will close out the show as the 'main' main event of the evening. The war between Lynch, Charlotte, and Rousey has heated up, in particular ever since a social media firestorm was kicked up, with Lynch and Rousey saying and posting some quite controversial things. Without a shadow of a doubt, this is the most talked about match by the Internet Wrestling Community, who have made Becky Lynch their darling. 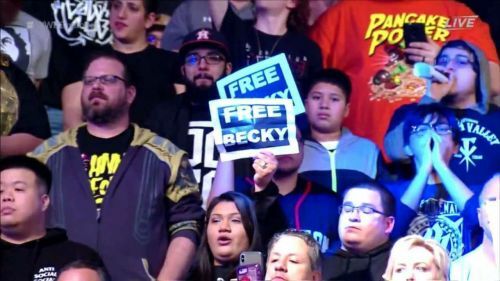 But it's not just the IWC who are hot for Becky Lynch; the casual fans have shown their support as well, making her arguably the most popular superstar since Stone Cold Steve Austin in the Attitude Era. On paper, Becky Lynch has a tough fight ahead of her at WrestleMania 35. After all, Charlotte has had more big match experience, and more title reigns, while Ronda Rousey's Olympic Judoka and MMA credentials speak for themselves. 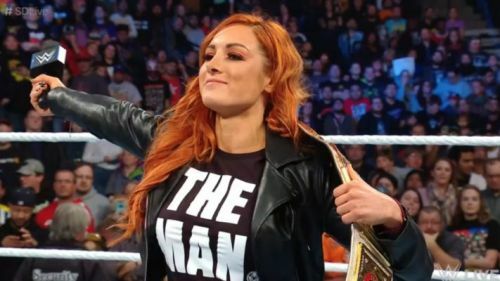 However, there are good reasons to believe that Becky Lynch will walk out of WrestleMania 35 as the victor. Here are five of them. Many people will tell you that Becky Lynch has ALWAYS been popular, and perhaps that is true. Fans and critics alike have praised her for her in ring skills, athleticism, and toughness. However, there is no doubt that her popularity has surged tremendously in recent months. Much of this has to do not only with her main event push, which legitimizes her character, but also with her great interview skills and refusal to back down in the ring, backstage, or on social media. When a superstar wrestler enjoys this kind of popularity, you can expect big things from them, such as a victory at the biggest sports entertainment event of the year.